Chain: (1) 8 Ft. in Medici Bronze Finish, Wire: 12 Ft. This transitional collection complements many architectural styles and gives the exterior of your home both beauty and a sense of style. 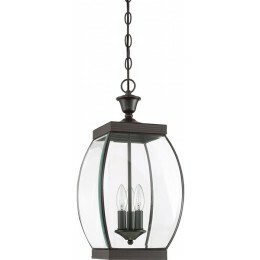 It has clean lines that allow the clear beveled glass to have optimum light output. The Medici Bronze finish completes the look of this series. 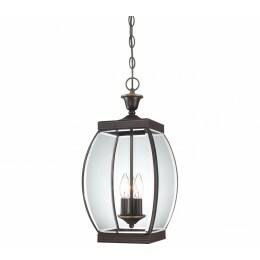 The Quoizel OAS1909Z Oasis collection Outdoor Pendant Lighting in Medici Bronze uses Incandescent light output and brings Transitional style. This item is 20.5"H x 9"W x 9"L. The wattage is 60. 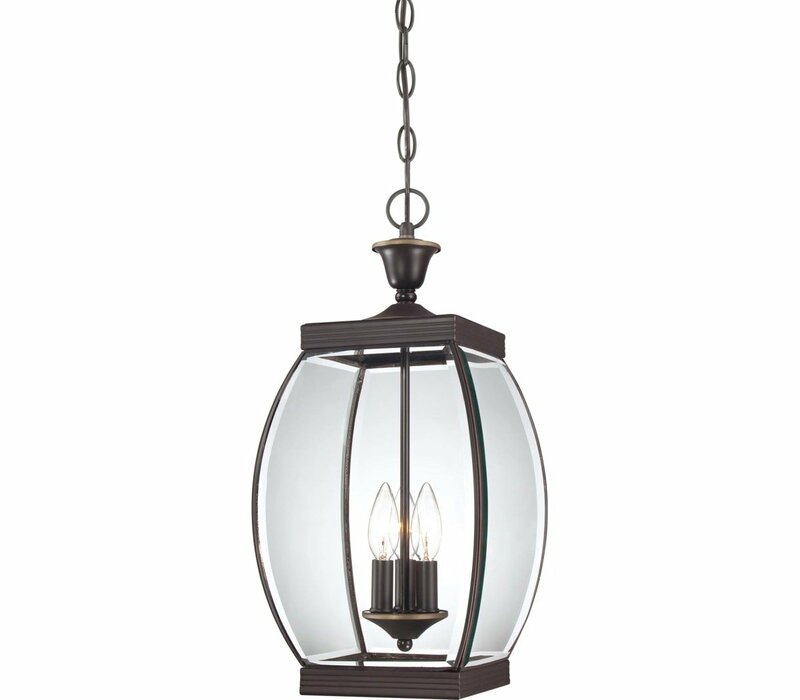 The Quoizel Lighting OAS1909Z requires 3 bulbs (not included).